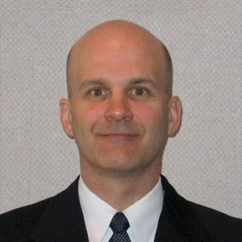 Langan is a leader in land development and engineering services. 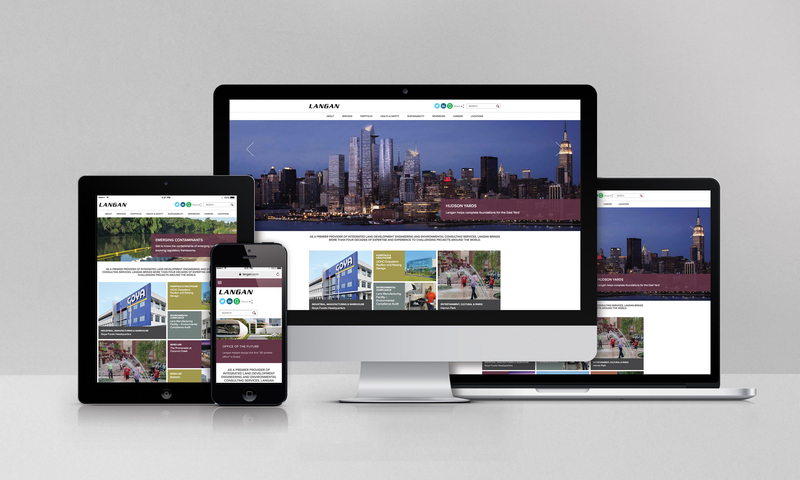 With more than two dozen offices around the world, this growing company needed a complete redesign of their online presence. 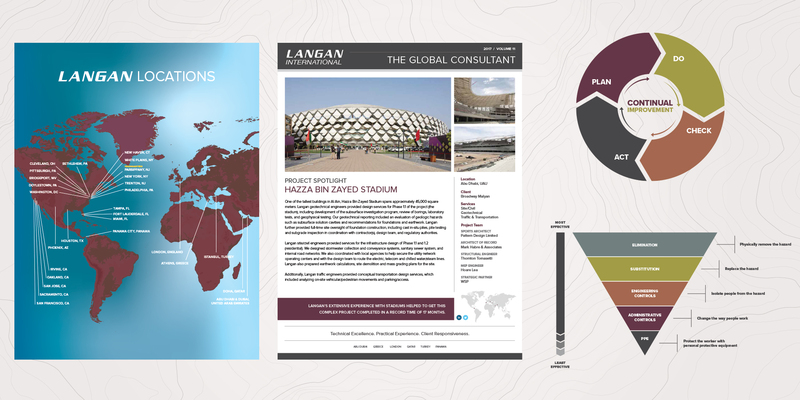 From information architecture to dozens of page templates and post types, the Langan website is a massive symphony of information, marketing, and intuitive content flow. Splendor launched the Langan website to much success, and our relationship with the firm has blossomed into a partnership for all things marketing. Langan reviewed multiple interactive firms, some quite large in size, before selecting Splendor Design. What stood out about Adam Taylor and his team was their passion and knowledge about the real estate development and AEC industry and their willingness to listen to our business needs. We initially retained Splendor to redesign our website, bringing Langan much-needed autonomy and flexibility to our management of our brand in the digital space. They delivered, and the relationship continues today, as we view Splendor an extension of our marketing team. 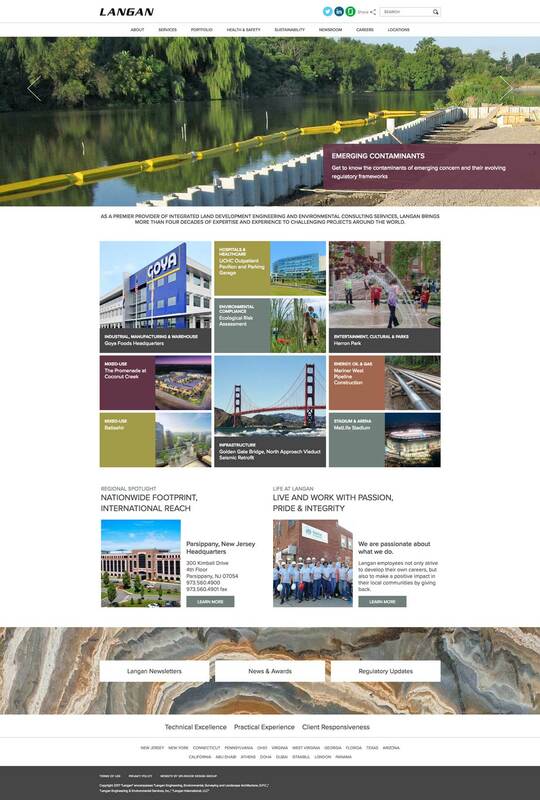 This new website showcases Langan’s service as a premier land development engineering and environmental consulting firm. The site appeals to developers, property owners, public agencies, and energy companies worldwide. We highlighted Langan’s 45 years of technical excellence, as well as their innovative, highly technical projects and unique company culture. The redesign helps attract top level talent, inspires new and strengthens existing relationships with clients and partners, and in aids sales and marketing efforts. 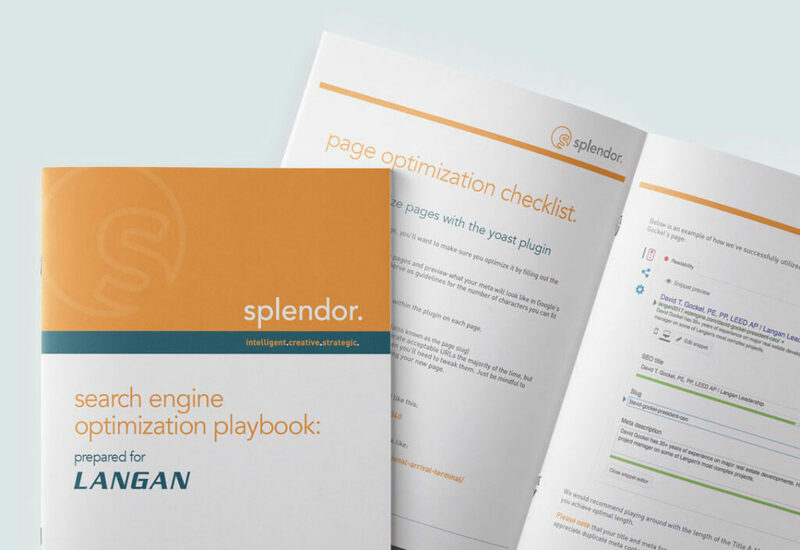 Splendor optimized Langan’s site, and created a guidebook for future site updates. We fixed many of their old URLs which were not SEO friendly, optimized all pages onsite (titles, meta, H1 and H2 structure), optimized images and and added alt tags.